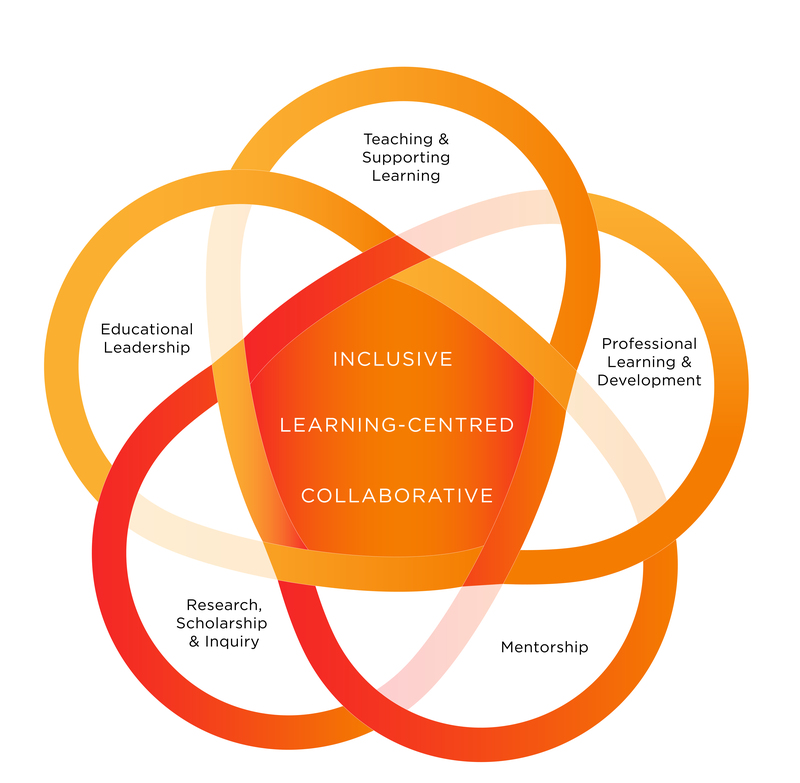 Within each facet are possible activities that reflect a developmental continuum from explore, to engage, to expand, demonstrating a shift from the growth of oneself within a local context toward contributing to the growth of others and creating processes and resources for the broader teaching and learning community (see table, pp. 5-7 in the complete pdf document or editable Word document). there is no single entrypoint into the framework, as instructors move across the facets and back and forth in the continuum throughout their careers. As a framework for understanding, it will guide the academic community in finding meaning in the everyday activities that make up the growth of teaching expertise. As a framework for self-reflection, it will help instructors—faculty, sessional instructors, postdoctoral scholars, and graduate students—identify and communicate their strengths, and pursue particular aspects of their teaching for further development. As a framework for dialogue, it will help peers and critical friends facilitate their ongoing growth through significant conversations about teaching and learning (Roxå & Mårtensson, 2009). As a framework for facilitating future-oriented conversations, it will help department heads and other campus leaders nurture individual instructors and contribute to teaching and learning cultures across postsecondary education. Hendry, G.D. & Dean, S.J. 2002. Accountability, evaluation and teaching expertise in higher education. International Journal of Academic Development, 7(1), 75-82. Kreber, C. (2002). Teaching excellence, teaching expertise, and the scholarship of teaching. Innovative Higher Education, 27(1), 5-23. Roxå, T., & Mårtensson, K. (2009). Significant conversations and significant networks–exploring the backstage of the teaching arena. Studies in Higher Education, 34(5), 547-559. We would like to thank Jessica Snow and Ykje Piera for their contributions in conceptualizing and creating the graphic for the teaching expertise framework. This article originally appeared on TI Connections, a blog by the Taylor Institute for Teaching and Learning, University of Calgary. Reprinted with permission.